Daniela Romero has been practicing law in the Los Angeles area since 1998. 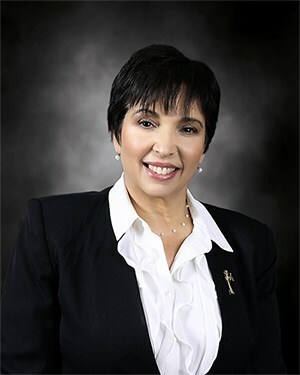 Ms. Romero has practiced in the areas of civil litigation, family law and bankruptcy law. She was also the staff attorney for the Los Angeles County Bar Association’s Domestic Violence Project. She also specializes in the field of Real Estate, where she helps homeowners avoid foreclosures and helps individuals through short-sales as well as families with probates. Ms. Daniela Romero is a firm believer in community service and giving back to the community that has been so good to her. She is a pro bono attorney for Public Counsel’s Debtors Assistance Project and at the monthly Reaffirmation Hearings at the Central District of California’s Bankruptcy Court in downtown Los Angeles. Ms. Romero also provides assistance at the Domestic Violence Project at the Los Angeles Superior Court in Pasadena, California. Ms. Romero is also a member of Holy Family Church in South Pasadena and serves on their Haiti Committee, which has been helping the people of Haiti since 2004. Our office is located in the North Lake Avenue District in Pasadena, California, which is just minutes from the freeways and downtown Pasadena. We are strategically located in the Enterprise Zone, which benefits the local Pasadena community.